The Nuvo JSax is a Saxophone in the key of C. one of this saxophone's popular features is that it is lightweight. Allowing it to be to easy to pickup and put down for young players and players who prefer a lighter alternative of the instrument. The instrument can be played without a strap. 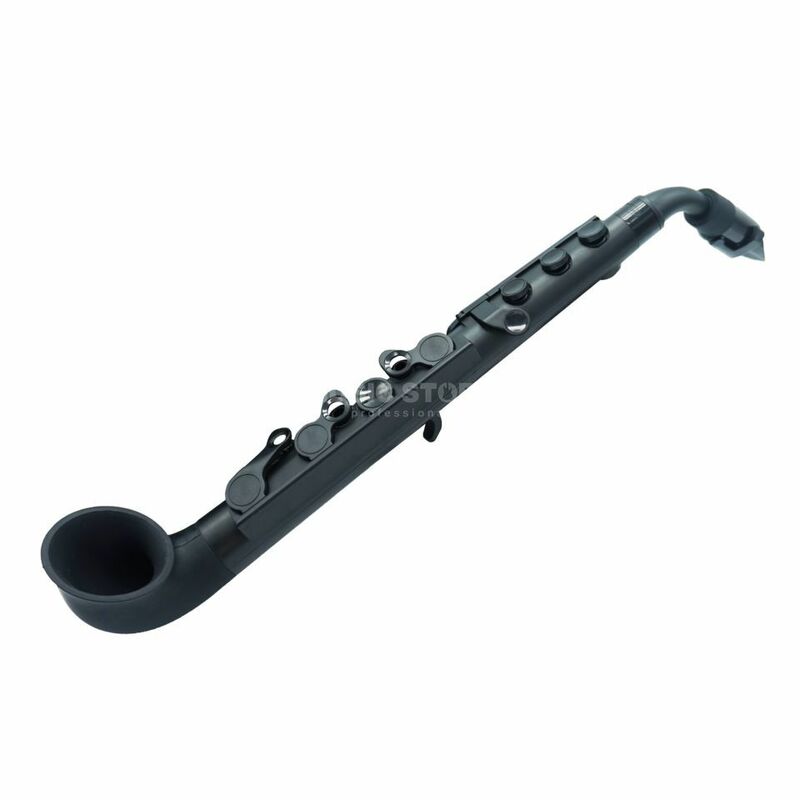 The design of silicone and ABS plastic makes the instrument look smooth, sleek and clean. The sound of the Nuvo JSax is very similar to many standard saxophones, which is why it has become a popular choice. It can be used in all types of music and is the ideal saxophone for beginners, especially for those who wish to hone the craft of Jazz Saxophone. Man erwartet ja nicht viel von so einem Plastik Instrument aber es klingt wirklich wie ein Saxaphon. Ausserdem ist es noch leicht zu spielen und es macht Spass mit dem JSax zu spielen. Kann ich nur empfehlen. Ein besonderes Plus ist das das Instrument in C gestimmt ist. Da kann man auch mit anderen Instrumenten mitjammen was bei einem "normalen" Sax ja nicht so leicht ist da das entweder in Es oder Bes gestimmt ist. Wirklich eine Super Idee die ich eigentlich auch in anderen Saxophonen sehen möchte.